and appropriate resources for students. 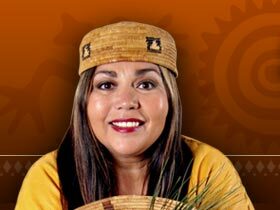 Ms. Nunez will explore the history of storytelling and the use of oral tradition in preserving and passing on California Indian cultural heritage. She has shared her stories at Disneyland, Los Angeles and Anaheim convention centers, and hundreds of schools and libraries. Ms. Nunez believes in the use of storytelling to illustrate the beauty of California Indian communities and looks to inspire others to discover more about their own cultures. Additionally, participants from CIMCC’s Tribal Youth Ambassadors Program will share factual and theatrical presentations. Come celebrate and share in an evening of storytelling, and enrichment in California Indian history and culture. Space is limited so please RSVP to CIMCC. Sign Up under our Lecture Sign Up area on the right side! !